Port 2 oz. blueberry vodka in a glass and add ½ oz. freshly squeezed lemon juice. 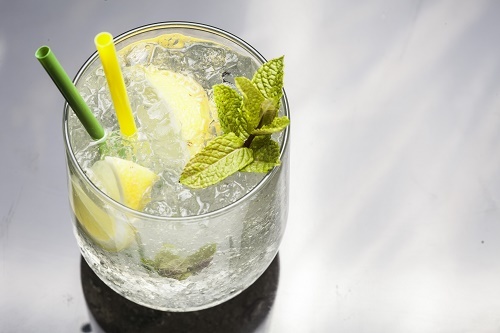 Top the glass up with sparkling water, fresh mint leaves and a teaspoon of sugar. Stir and serve. All these recipes benefit from the exquisite taste and flavor of mint. You do need to make sure that you use the right quantity, though. Mint can easily overpower if you use too much of it. What’s your favorite way to use mint?